Amit Shah West Bengal programme cancelled, Manoj Sinha termed it as "a violation of democracy"
Senior BJP leader and Union Minister Manoj Sinha today criticized the alleged cancellation of booking of BJP president Amit Shah’s programme at a West Bengal government owned indoor stadium and termed it as “a violation of democracy”. Sinha claimed that the BJP’s strength in Bengal is rising and said such incidents (cancellation of booking) would not be able to stop party’s popularity in the state. “The strength of BJP in West Bengal is constantly on the rise. No matter how much injustice is done, no one can stop the BJP from increasing its strength in the state,” the Union Communication minister said on the sidelines of BSNL’s function in the city. Shah was supposed to hold a programme in the state owned Netaji Indoor Stadium during his visit to the state from September 11-13. The BJP alleged that a state-owned Netaji indoor stadium, where Shah was scheduled to attend a programme had cancelled the booking for the event. The state BJP leadership had claimed that the stadium authorities had earlier accepted the booking for Shah’s programme but later denied it stating the stadium was booked for the entire month barring the days of Durga Puja. West Bengal’s ruling Trinamool Congress (TMC) has claimed it had nothing to do with the alleged cancellation. 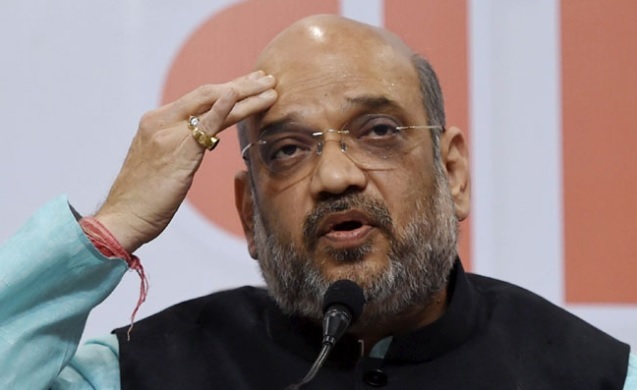 Shah had yesterday said that the BJP will move the court against the alleged cancellation of booking at a state-owned Netaji Indoor stadium for a party event in Kolkata.